Steve Halls has been featured in an article by ‘Inside Franchise Business’, commemorating a stellar 2018 in sales for Poolwerx Queensland franchisees. 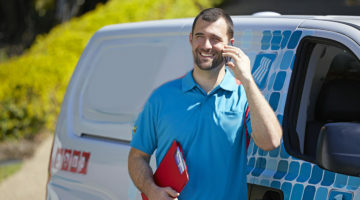 Coming off the back of an incredible 2018 which saw him named the 2018 National Field Manager of the Year by the Franchise Council of Australia, Poolwerx Franchise Operations Manager Steve Halls has appeared again in a recent article by franhisebusiness.com.au. At the forefront of Steve’s efforts was the $17m in sales for the state of Queensland in 2018. After being promoted from Business Development Manager in QLD to the National Field Manager position, Steve now assists BDM’s across the country to ensure Poolwerx franchisees around Australia are on track to achieve their targets. The article details Steve’s strategic review sessions with BDM’s, communicative and personalised approach with franchisees and day-to-day operations to ensure franchisees enjoy maximum profitability in their businesses.